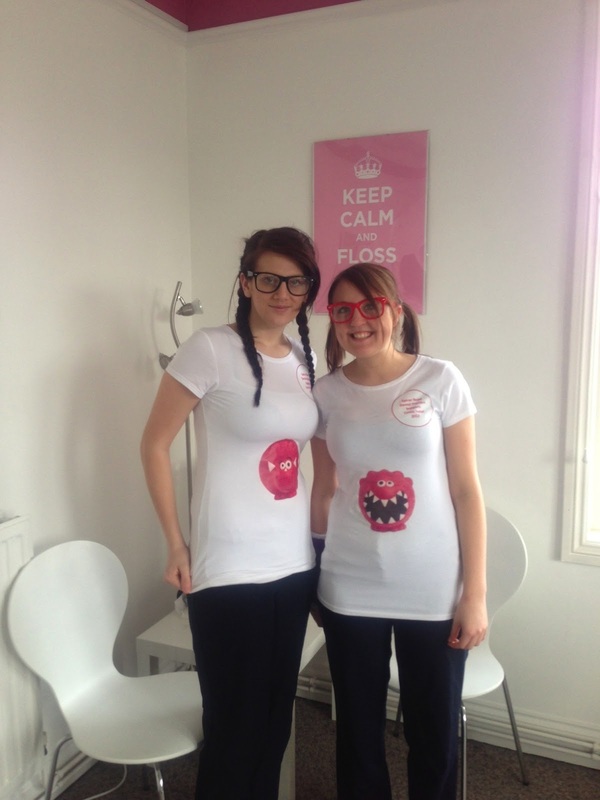 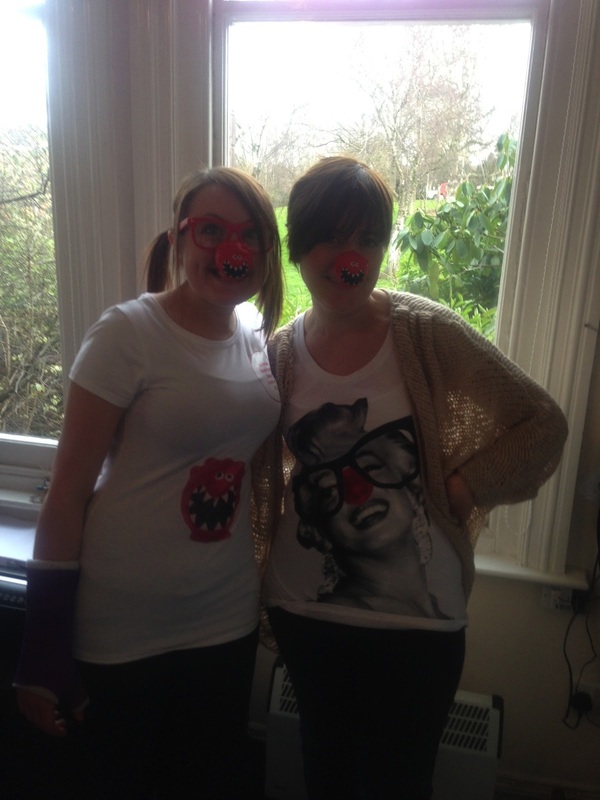 Last week on Comic Relief Day, we did something funny for money. 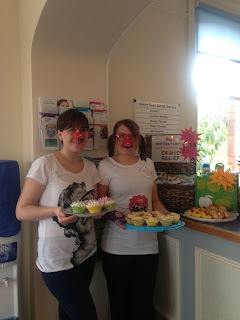 All the team dressed up and helped raise money for comic relief with a raffle and by baking cakes to sell at the practice. 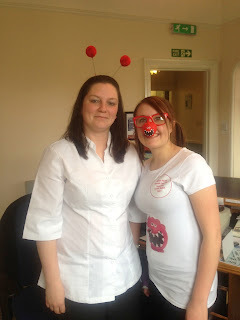 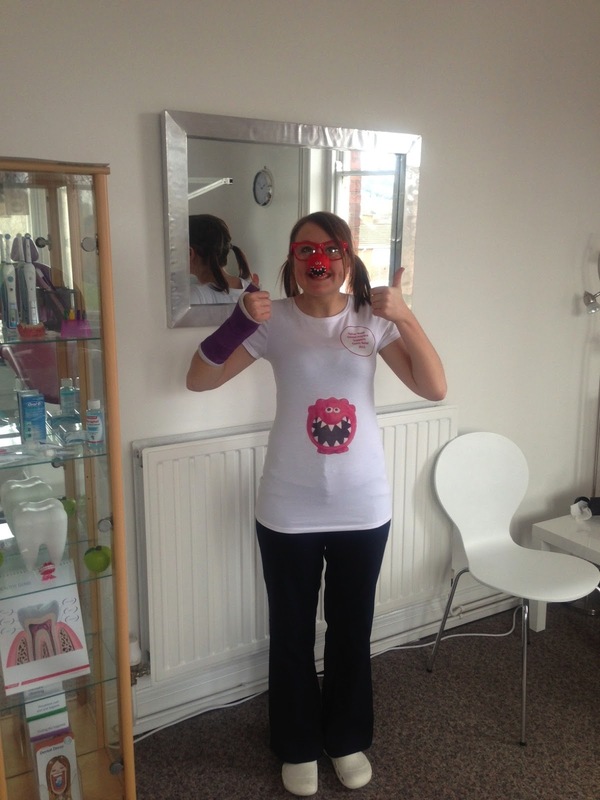 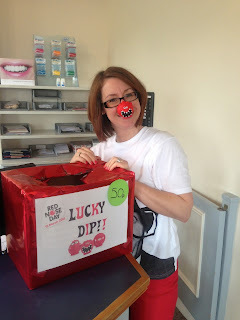 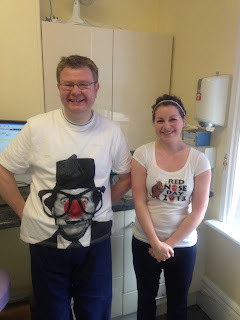 We raised £316 for comic relief. 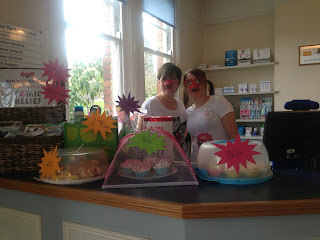 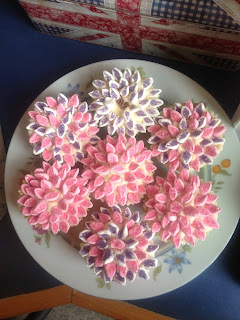 We'd like to thank everyone for their generosity in buying our cakes and entering our raffle. It made me laugh anyway! 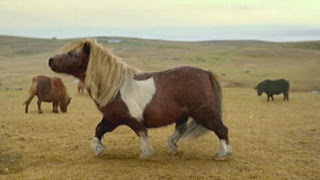 I know I've fallen for the dancing pony advert on TV for 3 mobile, but I did find it very funny. In the original the shetland pony manages to moonwalk like Michael Jackson. 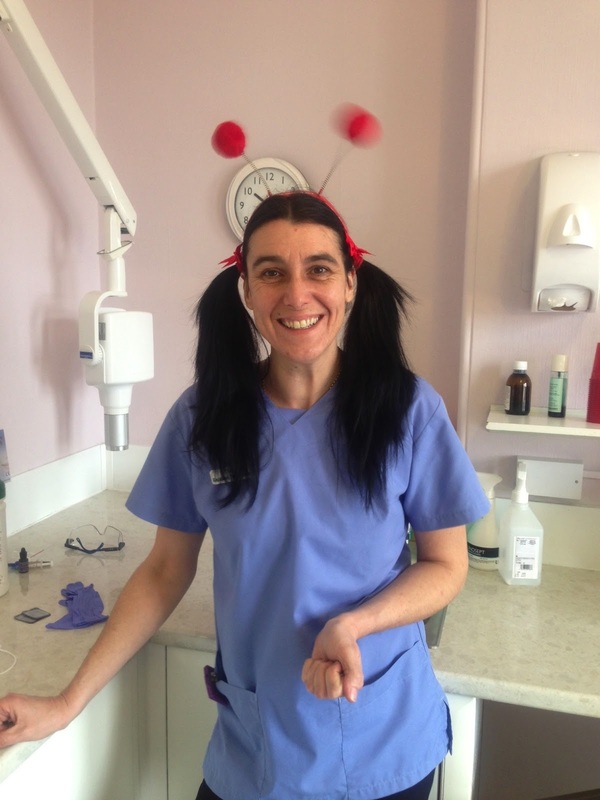 You can make your own dancing pony too, here's my effort the punk pony with the fabulous Teenage Kicks by the Undertones as the music! 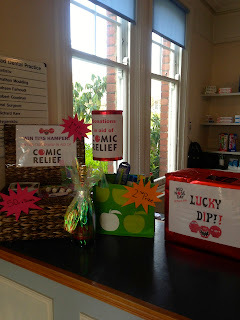 Friday March 15th is Comic Relief. 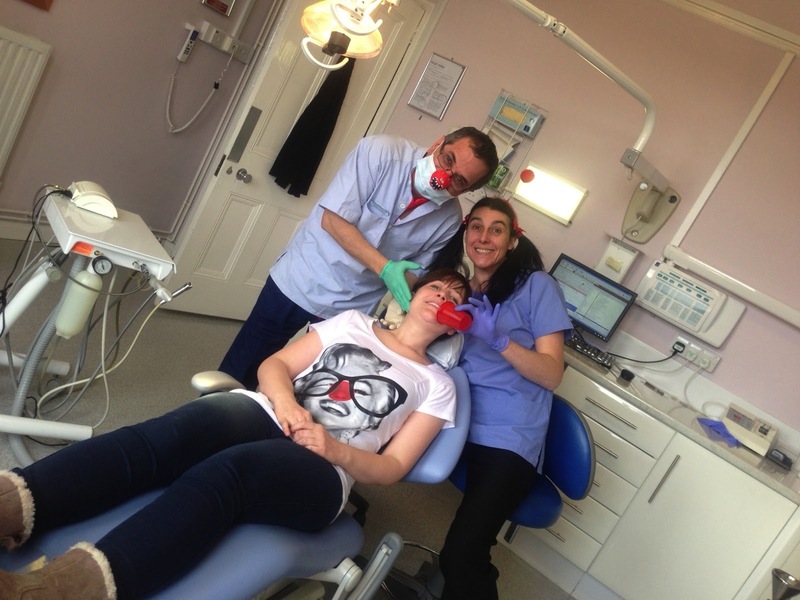 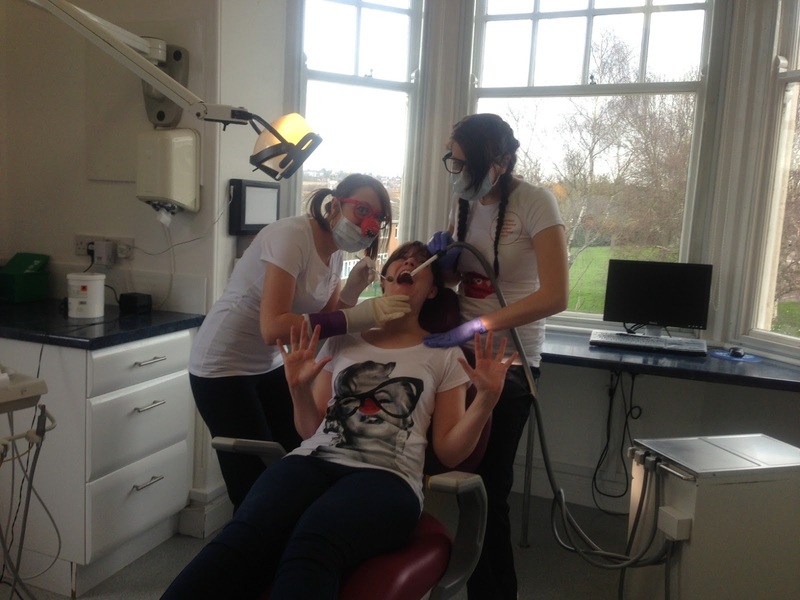 This year the team at Spicer Road Dental Practice have decided to raise money for this amazing charity, a charity that supports those in need here at home and the poorest in Africa. 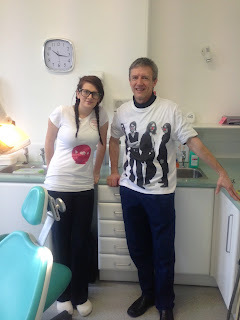 So to do our bit we are doing two things. 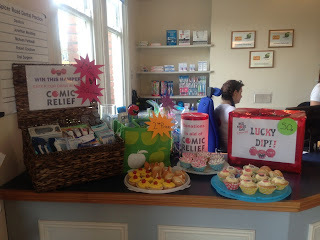 First we are holding a raffle and have some amazing prizes, tickets are 50p and available from our reception team. 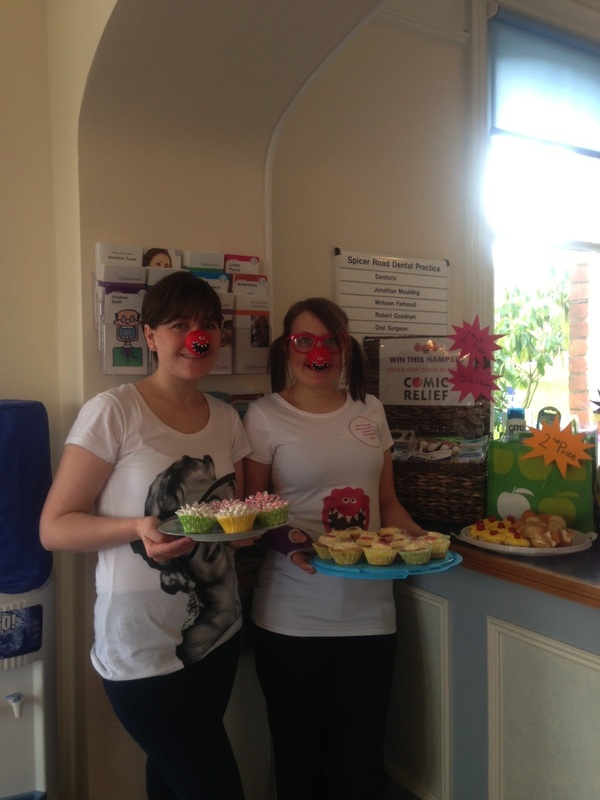 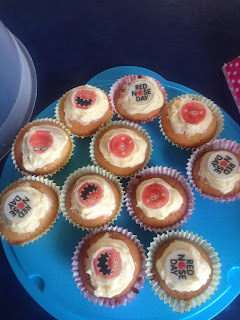 Second, next week we are holding a comic relief bake sale and will be selling cakes made by our staff. We hope you can will by a raffle ticket or a cake and help us raise loads of money for comic relief! 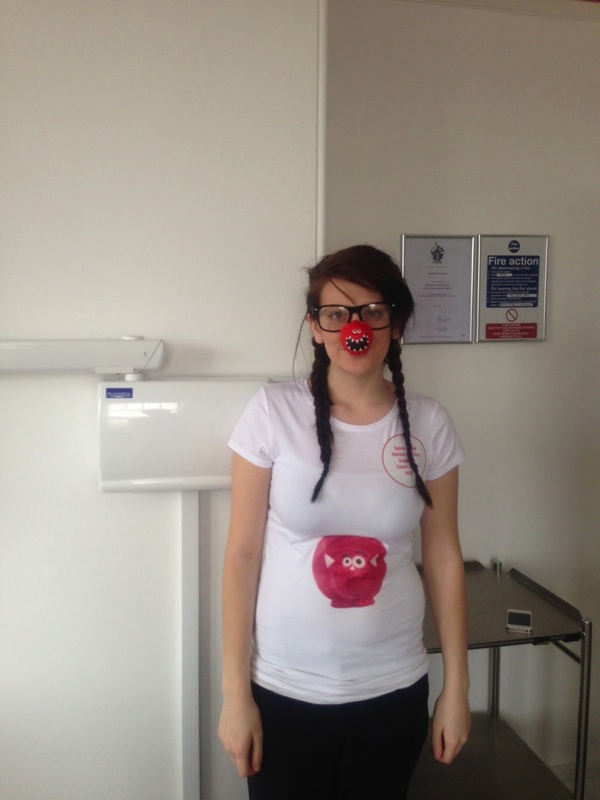 To find out more about Comic Relief click here.